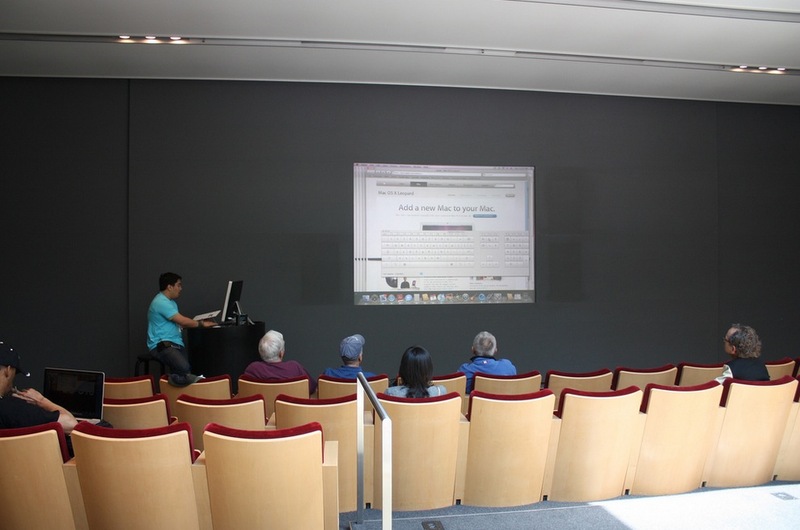 Apple will remodel its flagship Apple Store in San Francisco, reports IFOAppleStore. 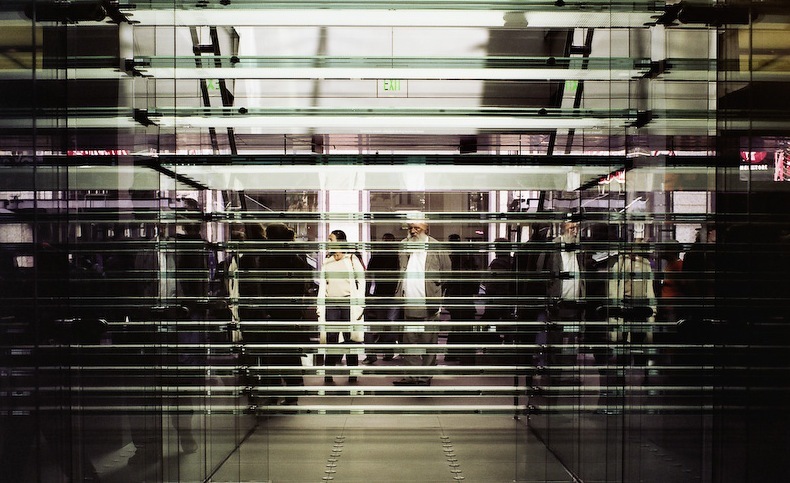 The store, located a 1 Stockton Street, is one of the most recognizable in the world and was the fourth store to feature a glass staircase of the type that is now synonymous with the chain. The store will remain open during the remodel, which the permit says will cost $1.16M. The primary purpose of the remodel will be the removal of the upstairs theater, which hosted music events and training sessions for patrons. The theater-style seating and projection wall are a classic component of the Stockton street store and the removal will change the feel of the top floor significantly. It will be replaced with a ‘multi-purpose’ area. Theaters were never common, as only the larger stores could accommodate them, but they are often a hallmark of flagship stores. Being able to sit down and take in a lecture from an Apple Genius on iMovie or Final Cut, as well as to host musical performances. The brand new store in Barcelona’s Passeig de Gràcia, opened just last month, still has a theater in its design. The store will get a few other refreshed details as well, including an Express Purchase counter that originally appeared in the Hong Kong store. 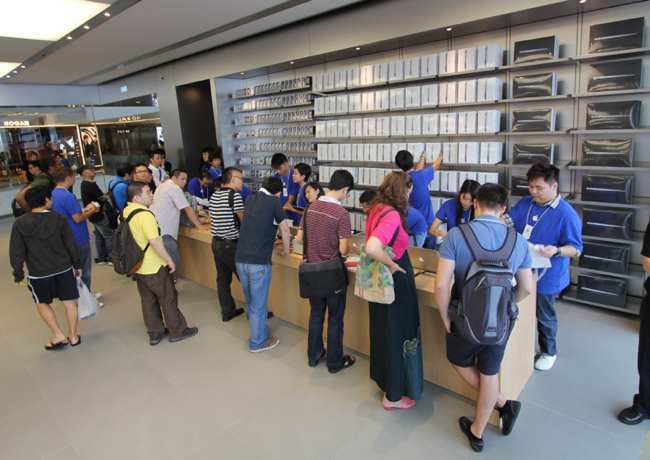 The counter features a sampling of high-volume products like the MacBook Air, iPad 2, iPhone 4 and iPod that gets people in and out quickly with known purchases. IFOAppleStore has more details on the renovation.